BetPhoenix is an all-in-one gambling site that also accepts Bitcoin for its live casino, sportsbook, virtual casino, and racebook platforms. Having separate websites to play casino games and to bet on sports and races can be daunting, and this is the reason sticking to all-in-one gambling sites like BetPhoenix is the smarter choice for players who take online gambling seriously. 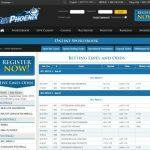 Established in 2006, this gambling hub has been providing the online community with competitive betting features whether for sports or casino. It is based in Costa Rica and is dedicated to combining the Eastern and Western gaming markets through its extensive gambling website. This is best exemplified by its services also directed to players speaking foreign languages, including Chinese, English, Vietnamese, and Spanish. BetPhoenix is not a one-stop shop for gambling for nothing. Available here are four distinct betting platforms for sports betting, live casino, virtual casino, and race betting. 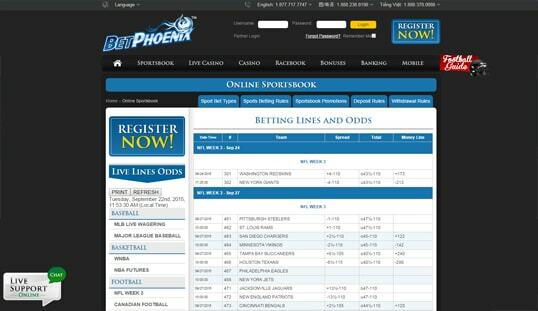 Its sportsbook covers a vast list of sporting events with the likes of boxing, mixed martial arts, soccer, basketball, tennis, and a lot more. It also features minor and major leagues and tournaments like the NBA, NFL, NHL, and many others. Moreover, it includes events held in other countries, so bettors can still find their favorite teams even those playing locally in Asia or Europe, for instance. This site’s racebook, on another note, is perfect for horserace betting enthusiasts. Major races like the Breeders Cup and the Triple Crown events are definitely covered here. 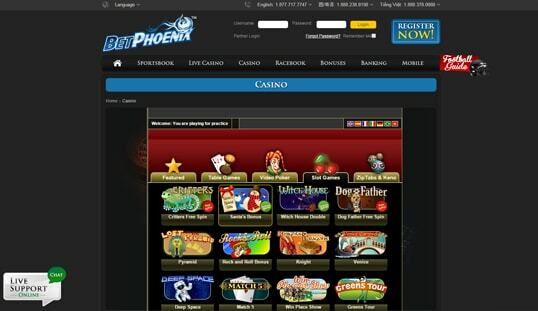 Of course, BetPhoenix did not leave out the popular casino games that can be instantly played in any browser. A live casino is also present here, which only adds to the excitement and variety. This hybrid gambling site uses the Amigotechs software platform. It predominantly caters to real-money gambling sites, which explains why its name is not familiar in the Bitcoin gambling scene. Nevertheless, it boasts a wide range of games that feature high-quality graphics and competitive qualities. This software’s products are also optimized for mobile use, so members of BetPhoenix can expect certain titles to be available on the mobile version of the website. Bitcoin gamblers must not be surprised if they are asked for personal information like the address, full name, and contact numbers. After all, this site is primarily and originally operated in real money. This also means that there is no anonymity among its players. In short, signing up for an account is highly similar to the processes employed by all fiat online casinos. Bitcoin is the latest addition to the banking options on BetPhoenix. However, it is limited to Bitcoin deposits as of writing. Regardless, the minimum amount accepted for a Bitcoin deposit is equivalent to $50 while the maximum is $5,000. For the cashouts, the conventional payment methods are still available, so players must choose between money transfers or checks. There are several bonuses and promotions on offer, and one of these is the Bitcoin Deposit Bonus deal. This special bonus is awarded to players who will place their first-ever Bitcoin deposit. To receive the perks, however, the amount to be transferred must be at least $100, which yields the 100% cash bonus and 10% free play. Deposits of $300 to $499 unlock the 100% cash bonus and 25% free play incentive. Moreover, players who fund their account starting at $500 gets the highest offer of 100% cash bonus, 25% free play, and another 5% cash bonus. Thanks to the technology provided by Amigotechs, BetPhoenix can be accessed even on smartphones and tablets without the need to download an app. The mobile version of the site is optimized for any mobile browser, so players can continue their betting sessions anywhere, anytime. This gambling site has a friendly and multilingual support system. It has live chat support and offers phone support to players speaking English, Vietnamese, and Chinese. 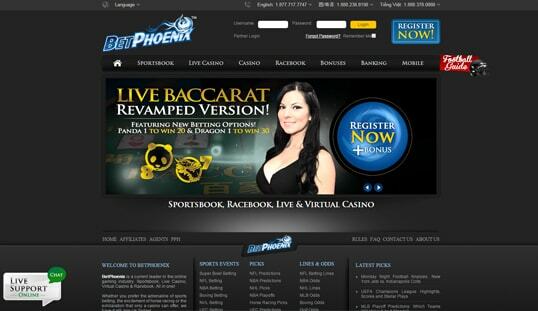 It also has specific contact numbers and email addresses for specific concerns, like wagering, casino support, marketing, security, and affiliates. The staff is available every day, but it follows a schedule that varies depending on the time zone.